A key comfort feature of Rocky Boot stock #5000 is its contoured removable polyurethane insole that provides direct underfoot cushioning. The underfoot cushioning of the 5000 work shoe is further enhanced by the lightweight polyurethane material that is used in its midsole and TPU outsole. 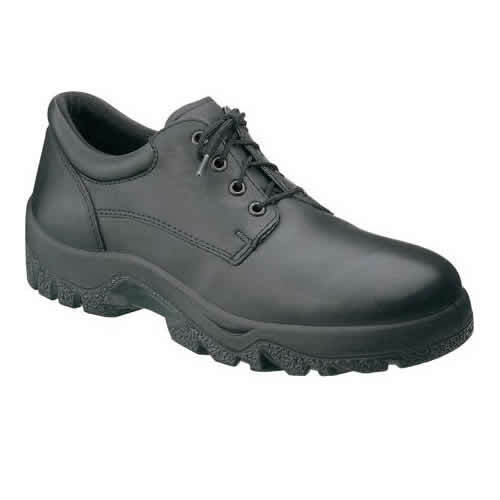 If you are looking for a plain toe lo-cut uniform work shoe with excellent underfoot cushioning, the 5000 work shoe may be just what you are seeking.